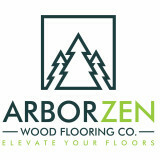 At Arbor Zen Hardwood Flooring, we strive to provide you with a unique experience when buying your hardwood floors. Our focus is to bring the natural beauty of the hardwood tree into your home, and at the same time, give back to the forests we all know & love! With every purchase of hardwood flooring Arbor Zen, we promise to plant 25 trees in your name! As a new company, est. January 2016, we aim to plant 10,000 new trees by the end of the year. We encourage you to help us make this goal a reality! We are the Asheville area's most environmentally friendly hardwood flooring option. We believe in balance and will personally plant 25 trees as our way to say thank you for your business! We offer a wide selection of locally farmed unfinished solid hardwood flooring options, as well pre-finished and engineered! We can also sand and refinish your old hardwood floors to make them look like new again! We offer an educated and guided experience when choosing your hardwood floors. Call us today for more information (828) 390-5167. 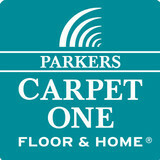 Parkers Carpet One has served the Spartanburg area for 40 years, covering both residential and commercial areas. We are a locally owned family business with the buying power of over 1000 stores nationwide. Our local, CFI certified installers are trustworthy and experienced in all types of floors. From carpet and vinyl to natural stone and hardwoods, our knowledgeable staff can help you find the perfect product for your home or business. Visit our showroom or call us today to schedule a free assessment of your home or business. Red Leaf Hardwood is a full-service distributor of hardwood flooring and tile products. Our 3,000 sf. showroom allows designers, builders, and homeowners to create custom looks that range from the standard to the extraordinary. Beautiful custom hardwood flooring at affordable prices! Natural stone and porcelain tiles, carpet, wrought iron stair parts, unfinished and finished hardwoods ! Come visit our new 3200 sf showrroom on Pelham Road. 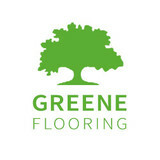 Greene Flooring is headed up by the father and son team of Joe and Ben Greene. Joe Greene has nearly twenty years of interior design experience with Belk’s Carpet & Home store. Some of the homes that he has designed have been featured in the Upstate’s prestigious “Parade of Homes Tour,” and he has worked as an independent design consultant for his entire career. Ben Greene has extensive experience in hard surface flooring sales and installation applications of all types of flooring. Our staff possesses excellent customer service and project management skills. We give every client our utmost attention and care. Please contact us to set-up a complimentary estimate appointment. WHATEVER YOUR PROJECT, WE’RE HERE TO HELP. Our customers are also our neighbors and friends, and trust us to share our expertise and provide them with superior products and outstanding service. Our service professionals are trained in our extensive line of products. They are skilled home project experts who can help you every step of the way. Unlike mega-store chains, where size and volume make a poor substitute for quality and experience, at our store you’ll be welcomed by helpful experts who know you personally. Every project you have is important to us, which is why we’re here to offer you advice and provide you with the right products to make your work easier and your results professional. Come in and experience the difference shopping at an independently-owned store makes. See for yourself how personalized service and premium products truly matter. And for those of you who’ve already experienced the difference of shopping at our store – thank you! As always, we’re here and ready to help! We are a locally owned and operated floor covering retailer located in Weaverville, NC. We cover all surrounding counties in Western North Carolina. We bring to our customers over 60+ years of combined experience in the floor covering industry. Above all, we are honest, loyal and hold the highest level of integrity when working with our clients. Our products are all top quality, but still competitively priced. Quebe Flooring is a local family business serving the Upstate of South Carolina. For more than a decade, we have focused on professional installation of hardwood flooring, tile and laminate flooring. We create projects that our customers are proud of and that we are proud of. Elite Ace Flooring is in the business of pleasing people and building a reputation each and every time we complete another job. We want to bring to life that picture in your head of the perfect floor, backsplash, or bathroom. How peaceful your home is on the inside, will translate to your life at school, work, or anywhere you go. We are not just installers, but an artist to some degree. A floor can be installed by many, but an amazing floor that is just right for your home is a process of design and careful thought, and our designers can make sure that the floor that goes in your home tomorrow will still be loved many years down the road. *Authorized Bona Certified Craftsman* Based in Henderson County, North Carolina, N2 Floors Inc. services the greater Asheville region. Our team of experienced refinishers and installers share over 50 years of wood floor experience. Installing, finishing and preserving floors in the finest homes comes from our experience working with home builders, architects, designers and homeowners. Founded by Tommy Simmons in 2002, we are proud to be Certified Craftsmen through Bona and are capable of handling projects of any size. 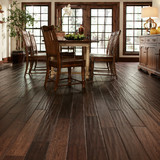 BMG Flooring is a decorator showroom in Mauldin, SC. Serving Greenville, Anderson, Simpsonville, Spartanburg, Greer, Easley and Upstate SC, BMG offers a wide selection of flooring including carpet,laminate flooring, hardwood flooring, vinyl, area rugs, stone and porcelain/ceramic tile; and cabinets and countertops! Carpet Installation | Carpet Cleaning | Carpet Repair | Wood Flooring Installation | Wood Flooring Repair | Wood Floor Sanding | Wholesale Looking for an expert in the flooring industry? Then we are the people to talk to. Our trained team of flooring specialists can help you with all your flooring needs. From carpet cleaning to flooring installation and repair, we do it all. Our one stop shop experience gives back to you valuable time and peace of mind! Call us today for free estimate on flooring services or to schedule a carpet cleaning appointment. Elite Floor Sanding & Refinishing has served wood flooring needs throughout South Carolina for over twenty years. Our expertise has enabled us to be of unequaled value. Sanding and finishing of new and existing hardwood floors is our specialty. We provide you with an unparalleled service with the experience and attention required by sanding and finishing hardwood flooring. James Riddley, owner of Elite Floor Sanding & Refinishing, maintains the success of his company by working with a dedicated team of employees to assure high quality standards and continued customer satisfaction. We provide a beautifully finished floor in three to four days, depending on stain color and square footage. On all sanding jobs we use the Clarke American Sanders professional dust control system which captures wood dust at the source, before it ever gets into the air. Our CAV POWER vacuums attach directly to the wood floor sanding machines. The powerful vacuum motors remove the dust from the floor and transfer it into the dust canister attached to the vacuum. The special wood dust filters located inside the vacuums ensure that all of the dust is contained within the canister and does not escape back into the air. Dust Free floor finishing is a reality! When using Clarke American Sanders dust control vacuum (CAV 26 Vacuum) you can ensure that: You won’t need to spend near as much time hanging plastic or protecting sensitive items from wood dust. Your home/office stays clean and is kept virtually free of wood dust. We use the best sanding and finishing supplies including: Norton sand paper, Minwax stains, and Last-n-Last oil base polyurethane. We also carry general liability and workman’s compensation insurance. For high quality wood floor sanding and finishing contact owner, James Riddley. Please call for further information and a free written estimate. What kinds of services do hardwood flooring installation professionals in Hoopers Creek, NC provide? Find hardwood floor experts in Hoopers Creek, NC on Houzz. Search the Professionals section for Hoopers Creek, NC hardwood flooring installers and dealers or browse Hoopers Creek, NC photos of completed installations and look for the professional’s contact information.